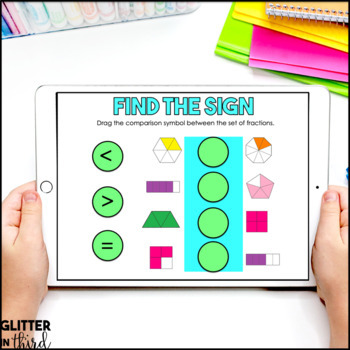 These digital fraction activities will help your students understand comparing fractions (with like numerators, like denominators, unlike numerators & denominators, and comparing fractions on number lines). These resources are 100% online and can be used on Google Classroom and Google Drive. This resource also includes an answer key. CSS.MATH.CONTENT.3.NF.A.3: Explain equivalence of fractions in special cases, and compare fractions by reasoning about their size. CCSS.MATH.CONTENT.3.NF.A.3.D: Compare two fractions with the same numerator or the same denominator by reasoning about their size. Recognize that comparisons are valid only when the two fractions refer to the same whole. Record the results of comparisons with the symbols >, =, or <, and justify the conclusions, e.g., by using a visual fraction model. Virginia VA SOL Math 3.2c: The student will compare fractions having like and unlike denominators, using words and symbols. If you are in a 1:1 technology classroom, this product is perfect for you! It will also work well if you only have a few computers in your classroom. 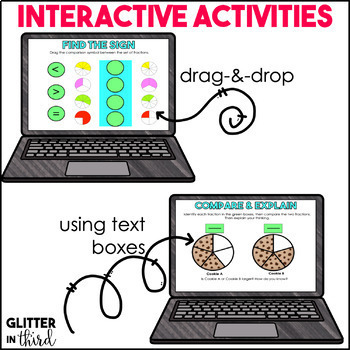 As long as your students have a Google Drive account and access to a computer, they can use these products during literacy centers and rotate off computers. You will be given the link to the Google Drive product. You can either email it to your students, or post on your Google Classroom! 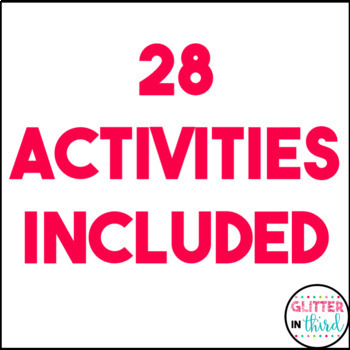 Check out my blog post to see how to upload it if you're unsure. 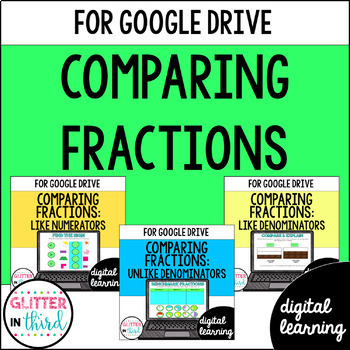 Interested in more Google Drive math products?